We’re nuts about older homes, but the excitement of finding a “diamond in the rough” house can quickly turn to frustration if unexpected serious problems crop up. 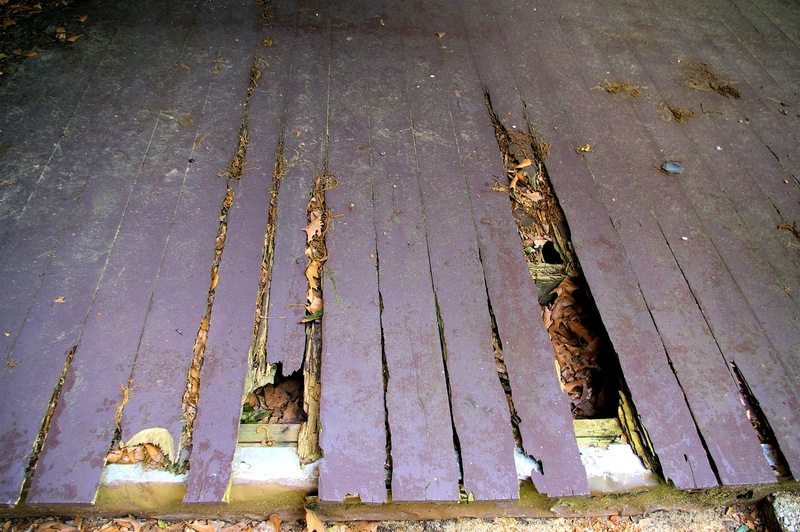 Some old-house issues are minor and easily fixed, but some can be very expensive to recover from. Here are a few things to watch out for when you’re considering an older home. Problems in older homes are often well hidden. More often than not, serious damage doesn’t show any symptoms until the damage is significant and expensive. There are clues, but even trained eyes sometimes have difficulty telling normal wear and tear from the signs of serious underlying problems. Most old-home problems, however, have predictable causes and if you know where to look you can find hints that might lead you to discover concealed damage. Find the problems early enough and you might be able to fix them relatively easily, or keep yourself from buying into unexpected expensive repairs. Water is the number one cause of damage in all homes, especially older ones. Look for missing or damaged roof shingles, rotted or loose trim boards, and disconnected or plugged-up gutters and downspouts. Problems with gutters and downspouts are the biggest cause of water damage – they must be cleaned and checked regularly. If you’re looking to buy an older home, check the condition of the gutters and downspouts – they’re big clue to finding hidden water problems elsewhere in the house. As the ground around a home settles naturally, it can slope in toward the house and begin directing water at the foundation wall. Modern waterproofing systems can delay the subsequent damage for a while, but older homes don’t have sophisticated waterproofing systems – if they have any at all. 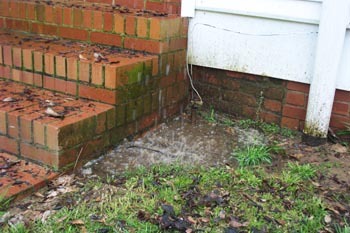 Many very old homes have porous stone foundations that have no ability to repel ground water. Check the grade at the perimeter of the house – settling near the foundation may indicate a path for water to get into the basement. When your grandparents’ family gathered around the Philco radio in the 1930’s listening to the Jack Benny Show they weren’t putting much of a load on the house’s electrical system – the radio and a lamp or two may have been the only electrical appliances in the house. But now there’s a TV in every bedroom; a tangle of phone and tablet chargers; dozens of light fixtures; and a whole kitchen full of modern electrical conveniences. The appliances have grown – has the electrical system kept pace? Each fixture or appliance “draws” power from outside in the form of amps; the more fixtures, the more amperage required. If the fixtures need more amps than the electrical system is rated for, the system can overheat, spark, or fail entirely – all potential fire hazards. Any home over 40 years old is a likely candidate for having a seriously outdated electrical system. Check the electrical panel for the amperage rating – modern homes require at least 100 amps and many require much more. Older homes may have “fuseboxes” rated for 60 amps or less. Check any visible wiring to see if it’s made of aluminum, which is also considered a fire hazard and was discontinued decades ago. “Knob and Tube” wiring (rubber or cloth-covered wires held in place with ceramic insulators) dates from the 1930’s and earlier. It’s still in place in many older homes, sometimes connected to new wiring. 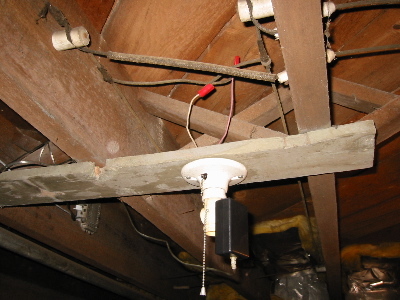 Knob and tube isn’t necessarily unsafe, but you can’t place additional electrical loads on it. Look around the house – are there lots of extension cords and plug adapters? Are there “burn marks” around some switches and outlets? Are there rooms without any outlets at all? Replacing an electrical system to remove safety risks or to bring the system up to current codes can be a very expensive project. An earlier remodeling of the house you’re considering may have added value, but it may also have damaged the structure of the house. One of the first things I look for on my clients’ behalf is evidence of previous, poorly-done work. Starting in the basement, look for posts that seem out of place – possibly holding up a significant sag in the floor system. “New” posts are usually easy to spot, often shimmed in place with wood that doesn’t match, or set on top of a concrete block. Check the floor joists, looking for holes or notches made by amateur plumbers or carpenters. Holes and notches significantly weaken the floor structure if they’re too big, too numerous, or in the wrong place. These joists won’t sag when they eventually fail, they’ll just suddenly snap. In the attic, look for “new” wood – much lighter in color than the “old” wood structure. Here’s where you need to check that structural changes were done properly. Might want to get a pro’s advice, too. Decent indoor plumbing has been around since the late 1800’s, but more than 100 years later, we’re still figuring out how to make it work. The plumbing in that old house you’re looking at might have two problems you need to be aware of. First is the water lines – before the 1970’s, many homes used galvanized steel pipes. It turns out that those old pipes corrode very quickly, and don’t give you any advance warning of failure – until you’re ankle-deep in water, in the basement. Some companies won’t insure a home with galvanized water lines. If your house has them, plan on replacing them soon. Second is the drains. Older drain stacks (the big vertical pipe) are often cast iron, which is a good thing. Cast iron lasts, and cast iron does a good job of muffling flushing sounds. But after 80 years or so, even cast iron corrodes and fails. And when it does, what’s in the pipes will end up in your basement. Phew. Plus, the old joints between cast iron pipes were probably sealed with lead. Best to get that out of the house asap. If you already own an old house, keep up with the maintenance to prevent costly repairs – for you and for future owners. If you’re thinking about buying one, check carefully for the signs of hidden damage and unsafe conditions first – a little detective work could save you from buying a real money pit.